Ever wonder how your life would be without your mom? Think about all the times she has been there for you: skinned knees, tears, laughs, broken hearts, and fun times. The moments are probably too numerous to count. How many times do you hear your mother’s voice inside your head giving you advice? Maybe it’s your grandmother, a step-mom, or all three. For me, there are moments where I look back and realize my life would be completely different if it weren’t for my mother. I’d be a different person without her guiding influence. I’ve gotta say, there have been a few, “I told you so” moments too. I’m glad for all of them. Thank you mom for all that you did and still do to help me be a better daughter, mother, wife, and overall human being. We want to help you say, “Thanks” to the moms in your life too. We are launching the “Celebrate Moms Project” at Higher Focus Photography on April 23rd from 10am to 2pm. We’ll send you a short personal questionnaire for you and your children (or your mom) to answer which will be incorporated into your art work. These heartwarming question and answer pages give your and your children the opportunity to show you much you mean to each other. You can also show your mom how much she means to you. You’ll get a 20 minute portrait session of you and your children or you and your mom showing off your warm, loving relationship. You receive a complimentary 8×10 word & image collage of beautiful photographs and handwritten words from you or your children to save those tender moments of life when you look back. You get a $47 portrait credit toward your artwork of choice. This is great for ordering gift prints or putting it towards the purchase of an art piece. Early Bird Pricing $97 if you book before April 16th, $127 afterward. 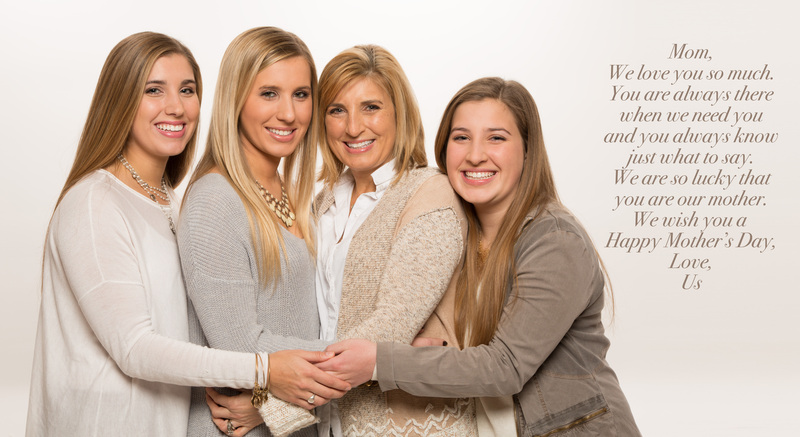 Call 636-273-6600 to book your session or click here and we will contact you right away. **$97/$127 is the session retainer. ***Portrait credit must be used for this order only at the time of ordering. Congratulations to our 2016 graduates! TRYING TO FIND THAT UNIQUE GIFT?